Complete with truck, box & all packing. Measures approximately 14″ in length. 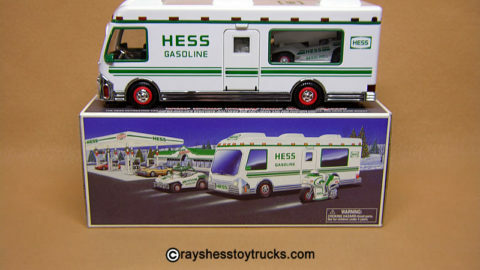 1977 & 1978 Hess trucks both have 1977 in Roman numerals on the battery cover. Difference between the 1977 & 1978 is the size of the rear decal. This year truck had more chrome than prior years. 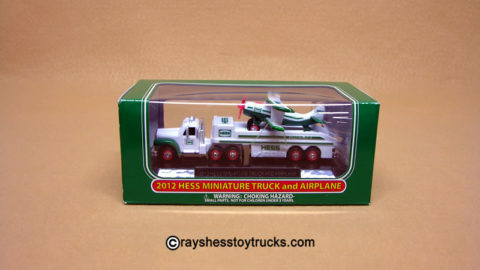 Truck & decals are in excellent condition (see pics). Battery compartment is clean (see pic) and all the lights are in working order. Box also excellent condition with small 1977 date on topside (see pics). Complete with both top & bottom inserts plus battery card. End of the box reads: Made in Hong Kong “Amerada Hess Corporation Woodridge, New Jersey 07095”. When the boxes were produced the word Woodbridge was mispelled as Woodridge. There is no writing on the other end. 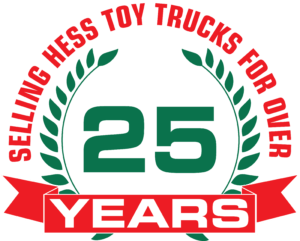 The truck measures approximately 14″ in length. There was no truck issued in 1979 due to the gas shortage.